It’s been on the schedule, off the schedule, on the schedule and off the schedule again. But the latest word through this morning is that N.E.R.D.’s long-awaited new album ‘Nothing’ will finally get an Australian release in November. The first taster off the new LP was the track ‘Hot ‘N’ Fun’ featuring guest vocals from Nelly Furtado, with the next single called ‘Hypnotize U’, produced by Daft Punk, due to hit radio on October 11 and digital retail on October 15. The band, of course, is also Australia bound soon, saucing up Summadayze stages across the country, along with the Pyramid Rick Festival on Victoria’s Phillip Island. 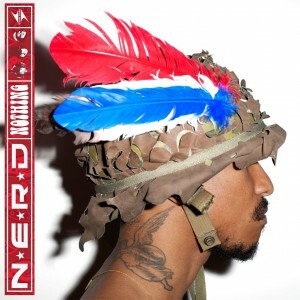 Look for N.E.R.D.’s ‘Nothing’ in Aussie stores on Friday November 05. Filed Under: Uncategorised Featuring: N.E.R.D.